What about this sunshine this week here in the UK ? I am getting excited now for sure, I love everything about summer, clothes, sandals, eating outside, long evenings, just about everything ! I need no excuse for new sandals ever, these ones I discovered at Simply Be, they are from Dune and for me, just perfect, no longer can I wear 6 inch heels, and I do love a flip flop but just sometimes you need something a little more glam than a flip flop for giving you a bit of height and feeling a little more dressy. These are Head over Heels by Dune the style is Navilla, with a 2cm silver metal trim block heel, metallic silver double strap with elasticated heel strap, these are super comfy and in fact have become more comfortable with every wear, I don't know about you but my years of suffering in painful footwear just to look good are well gone, so I was pleasantly surprised that these were good to go from the first wear. 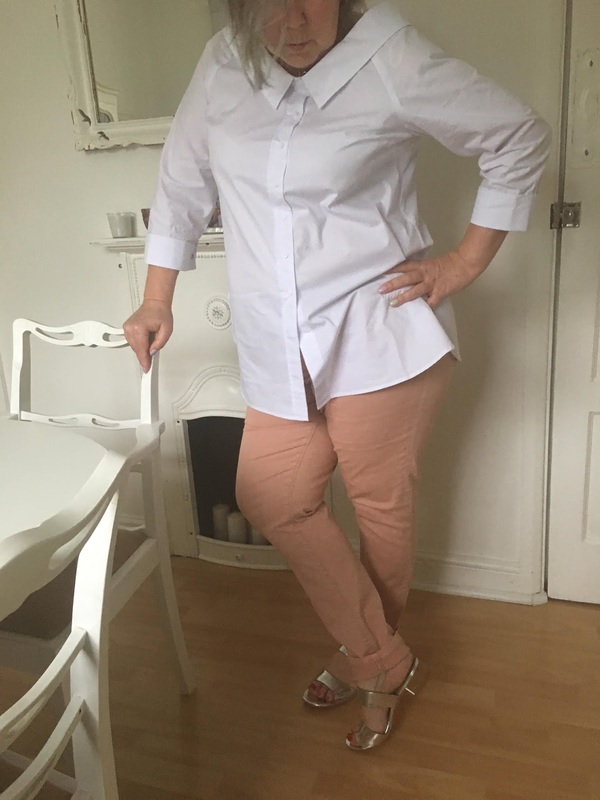 The thing I find about the Simply Be website is the ease of shopping and there are always good stock quantities, I hate finding something I like and it being out of stock in my size everytime !